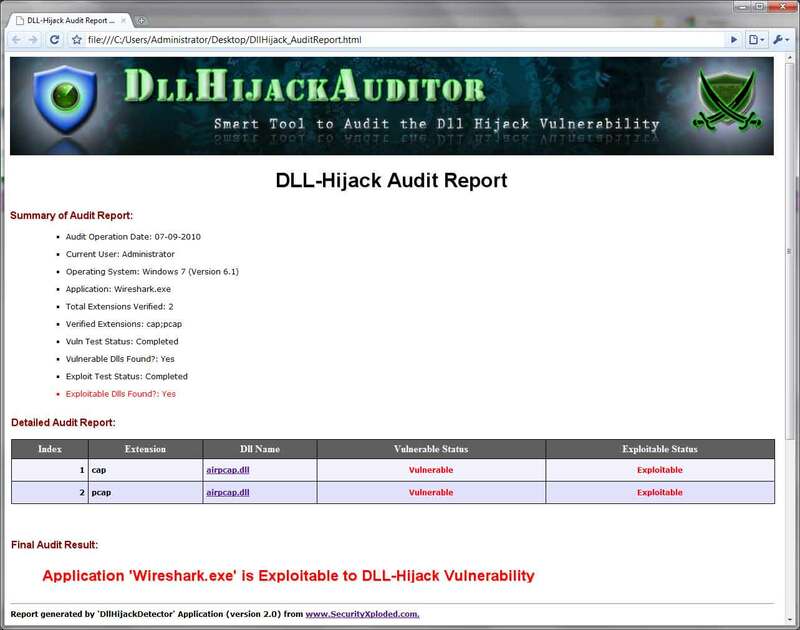 DLL Hijack Auditor is the smart tool to Audit against the Dll Hijacking Vulnerability in any Windows application. 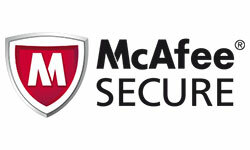 This is one of the critical security issue affecting almost all Windows systems. Though most of the apps have been fixed, but still many Windows applications are susceptible to this vulnerability which can allow any attacker to completely take over the system. DllHijackAuditor helps in discovering all such Vulnerable Dlls in a Windows application which otherwise can lead to successful exploitation resulting in total compromise of the system. With its simple GUI interface DllHijackAuditor makes it easy for anyone to instantly perform the auditing operation. It also presents detailed technical Audit report which can help the developer in fixing all vulnerable points in the application. 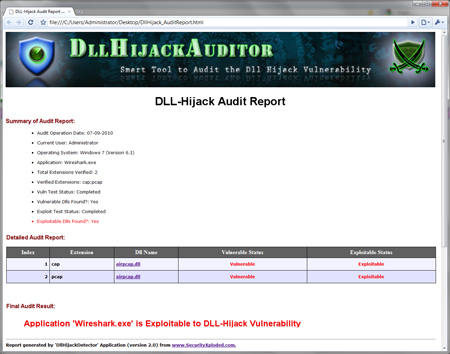 Dll Hijack Auditor is a fully portable and works on wide range of platforms starting from Windows XP to Windows 8. Directly & Instantly audit any Windows Application. Smart Debugger based 'Interception Engine' for consistent and efficent performance without intrusion. Support for specifying as well as auditing of application with custom & multiple Extensions. Timeout Configuration to alter the waiting time for each Application. Generates complete auditing report (in HTML format) about all vulnerable hijack points in the Application. GUI based tool, makes it easy for anyone with minimum knowledge to perform the auditing operation. 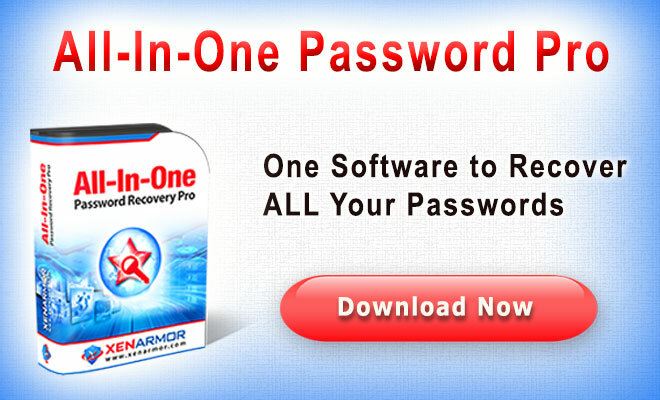 Free from Antivirus as it does not use any shellcodes or exploit codes which trigger Antivirus to terminate the operation. Fully portable tool which can be run directly on any system. Here are simple tests to use Dll Hijack Auditor for auditing of any Windows application. Now click on 'Browse' button to select application and then click on 'Start Audit' to begin the operation. Next click on 'Exploit' button (only if it has found any vulnerable DLLs in the previous phase) to perform real Exploitation test. Finally click on 'Report' button to generate complete Audit report. You can tick the check box ( 'Do not terminate application' ) to make DllHijackAuditor to wait until you perform complete testing of all vulnerable points within the application. Once you are done with the testing, close the application so that DllHijackAuditor will continue with auditing operation. Here is the short Video demonstration of DllHijackAuditor auditing the Wireshark for Dll Hijack Vulnerability. Dll Hijack Vulnerability is the latest security issue in the Windows platform which is being exploited widely and marked to be critical as it affects many existing Windows applications. Microsoft has already acknowledged about this Dll Hijack Vulnerability in this Security Advisory and suggested following workaround/solution to fix this issue. Here is the more interesting read about 'Slow Dll Hijacking' Vulnerability. DllHijackAuditor has been tested with all the platforms starting from Windows XP to latest operating system, Windows 7 (on 32 bit platforms) successfully. However it is possible that you may encounter issues and if you find any, please report it to author. You can use this feedback form to report the bugs or suggestions about this tool. Target application may not terminate sometimes and may appear to be frozen. It will close automatically when DllHijackAuditor is closed. Improved GUI interface with magnifying icon effects. Also fixed few minor bugs. 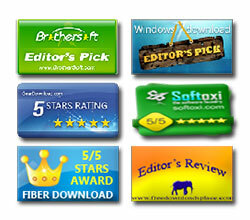 Support for Windows 8, Drag & Drop of application EXE file. Enhanced GUI interface. Added Installer to support local Installation & Uninstallation. Fixed the duplicate vuln dlls issue, error in the report result, cleanup of test directories etc. 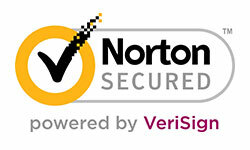 Introduction of new & smart Interception Engine for consistent and efficent performance without intrusion of process. Support for specifying custom & multiple extensions and timeout configuration. First public release of DllHijackAuditor.